As there are more mature singles over 60 than ever before, it’s a dating scene that is well worth trying out. Dating at any age is a terrifying prospect, so doing it the ripe age of over 60 may seem daunting, but you’d be surprised at the number of like-minded singles looking for someone special. People wrongly assume that your 60s are an uneventful time full of old habits and reliable routines. But for mature singles over 60 it’s an exhilarating time, learning about love, life, and yourself all over again. Online dating websites have made dating for people over 60 easier than ever. With a host of websites all boasting plenty of members aged 60 and above, it becomes a lot simpler to find someone to date at this age. However, dating websites are not without their risks, so be mindful of this whenever using one to find a date. 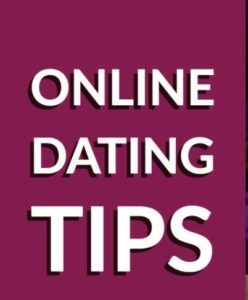 For instance, the information on a dating profile should always be taken with a pinch of salt as there are many fake profiles while some people are rather loose with the truth on their profile. Setting dating goals is a great idea for anyone mature singles, as it allows you to really understand what you want to achieve from dating. For example, are you looking for a serious long-term relationship or some casual fun? Do you have specific relationship goals in mind or are just wanting to go with the moment and see where it takes? Doing this helps to establish what you want from dating when over 60, ensuring you stick to your goals and try to best achieve them. It also helps to determine the suitability of a relationship when you start dating someone, so make sure to set those goals! Mature singles over 60 that are scared about dating should take the time to make new friends first. This alleviates the pressure of trying to find someone to date and takes out your comfort zone, which should help build confidence and make you better prepared for dating. Try taking up a new hobby or investing time into a current interest and be sure to check for social events and special clubs to help meet new people – you can even practice the odd bit of flirting here too. You’ll find taking the time to meet new people not only builds confidence but may lead you to meet someone special! Most importantly – get outside and put yourself out there to meet new people! Online dating is all well and good, but meeting someone out in the world is always the best way to truly connected with someone. Go out there and do the things you love, whether visiting museums, galleries, going for long walks in the park, attending sports events, concerts, and anything else that may interest you.